Your first time to Albany Yoga Room? New to Yoga? Whether you are a complete beginner or an experienced student we will treat you as a unique individual. We want you to find the teacher and the class that is just right for you to try different classes until you feel satisfied. During class, if something is not working for you please don’t hesitate to let us know. We do expect you to listen to your body – notice the messages it is giving you – pay attention to signals it gives – if something feels wrong, don’t do it. If it hurts, ease off. You don’t need to bring anything with you as we have all the equipment you need at the studio. However, feel free to bring your own if you prefer. We have a changing room and toilet but no shower facilities. Try to arrive about 10 minutes before starting time. Please come in quietly, especially if you are running a little late. Cash, EFTPOS, credit cards and PayPal are gratefully accepted. Manage your own passes and bookings below. Have you always wanted to try Yoga but been a bit afraid to start? Yoga is good for everyone – you don’t have to be young and flexible. In fact the first thing most beginners say is “I’m really stiff”- so don’t worry, that’s why you need yoga! A few other good reasons? It is widely accepted that gentle inversions (upside down poses) are helpful for balancing the hormonal system – especially good for women! The hectic pace of today’s world is taking a terrible toll on everyone’s health. Stress is now recognised as the one common factor behind a multitude of diseases. The most specific practice to help relieve stress-related imbalances in both body and mind is Restorative Yoga. 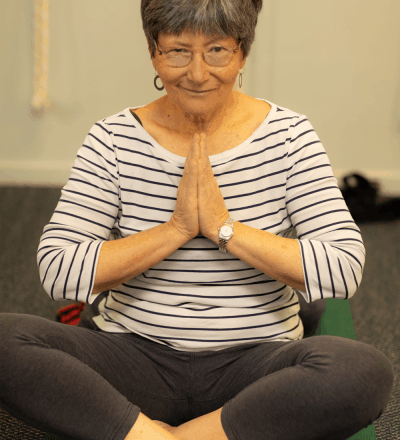 In this quiet gentle practice you will spend lots of time in comfortably supported poses simply breathing and stretching effortlessly until your body is completely relaxed. The deep relaxation of the body leads to a quietening of the mind and opens the opportunity for your body’s own healing mechanism to begin dealing with whatever problems exist. (For more see the Restorative page under Class Descriptions). This state of deep relaxation is also found (hopefully) at the end of every regular yoga class as we finish off each class with Savasana (Corpse Pose). The less obvious pathway to stress management that we learn at yoga is a skill called svadhyaya – a Sanskrit word meaning self-study. Learning to observe the mind objectively is fundamental to treating anxiety.This art of self-study can allow you to observe physical, mental or emotional states in a neutral way. Svadhyaya can teach you how to observe an emotional state without being swept away by it. How? By watching for any stress in a particular pose you learn to note it, then pause before reacting. Watch where the stress goes in your body – the jaw? the neck?, the tummy? …. you learn to put yourself in an objective space in relationship to the thing that is making you anxious, and then choose how to respond. As you continue to practice, you begin to retrain your body and mind to create new responses to situations that would normally create anxiety. Instead of automatically stressing when a situation doesn’t go according to plan your reactions will become more conscious and more fluid. Less stress, less tension. Perhaps you’ve never tried yoga before…or maybe you have…and the experience wasn’t what you were looking for. Here at the Albany Yoga Room we want things to be different. Every new student is welcomed very warmly and encouraged to work at their own pace. No pressure! And if you come regularly for a while you will find yourself becoming part of a warm and welcoming group of friendly students – all happy to be there. And remember – you are there to enjoy yourself. Don’t be competitive! 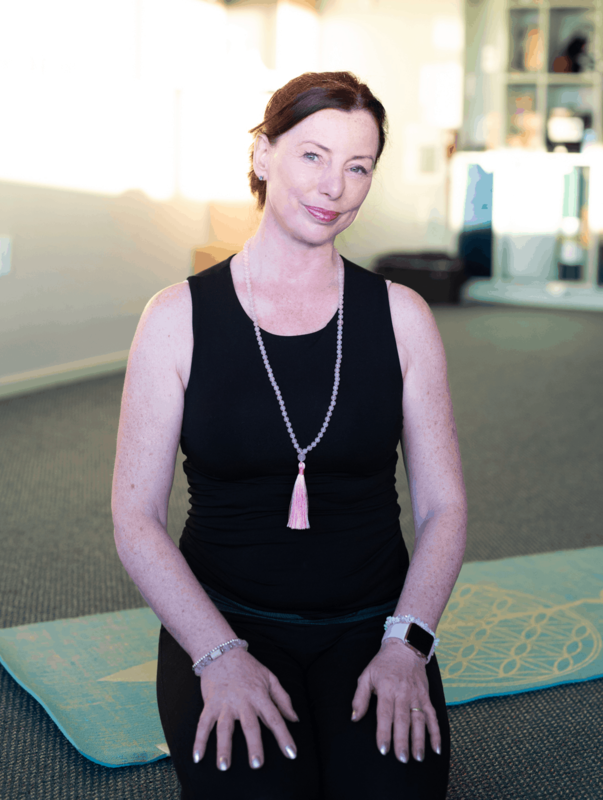 Looking for a great yoga class on Auckland’s North Shore? We teach yoga classes seven days a week. Gentle, Iyengar, Flow, Pregnancy, Over 50’s, Beginners and general levels of Hatha yoga. We hold regular courses for Restorative, Mums and Babies and Children’s yoga in addition to the Absolute Beginners Course below.